Want to see all the technologies used by basicthinking.de? 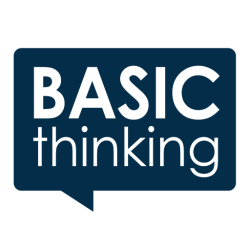 BasicThinking has become one of the best known and most linked blogs in the German Internet. With a successful mix of topics from current trends in network technology, software, and all sorts of stories from the private environment more than 2.5 million visitors generated almost four million page views in the year of 2008. The Guardian counted BasicThinking meanwhile even among the 50 most influential blogs around the world. For a quick look at additional technographic info on basicthinking.de or any domain on the web, download our Chrome Extension. Check out our help article to see how Datanyze Insider can help you.